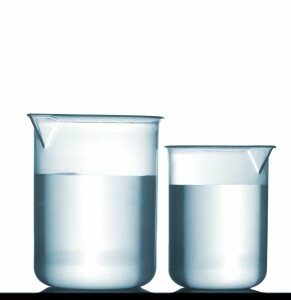 Water testing for your home in Richmond, Virginia, can help give you peace of mind, especially if you are concerned about possible contaminants in your water supply. Strange tastes, strong odors, visible particulates, and mineral buildup of any kind are all possible signs of impurities in your home’s water, and may indicate the need for a water test. At RainSoft, we proudly provide complimentary water testing services to homeowners throughout Richmond, so you won’t have to worry about getting charged to learn more about your water supply. Should any impurities be found during the water testing process, RainSoft can provide you with the products needed to correct them. As a worldwide leader in the water treatment industry, we have an impressive array of cutting-edge systems designed to remove a whole host of contaminants from your water supply. What’s more, our water testing results will strongly inform the system or systems we recommend, allowing us to tailor your solution to your home’s specific needs. Water softener systems – These systems remove water hardness minerals, like calcium and magnesium, which are responsible for lime scale buildup, soap scum, spotty dishes, and dry and itchy hair and clothes. Whole house water filtration systems – We offer a number of these whole house problem-solving systems, allowing us to address a number of problem chemicals in your water, such as elevated levels of chlorine, iron, sulfur, or VOCs (volatile organic compounds). Drinking water systems – As their name implies, these systems are designed to remove dissolved particulates that cause foul tastes and odors in your home’s drinking water, allowing you to access crisp-tasting, bottle-quality water right at the tap. If you would like to schedule an appointment for water testing in Richmond, VA, contact your local authorized RainSoft dealer today.